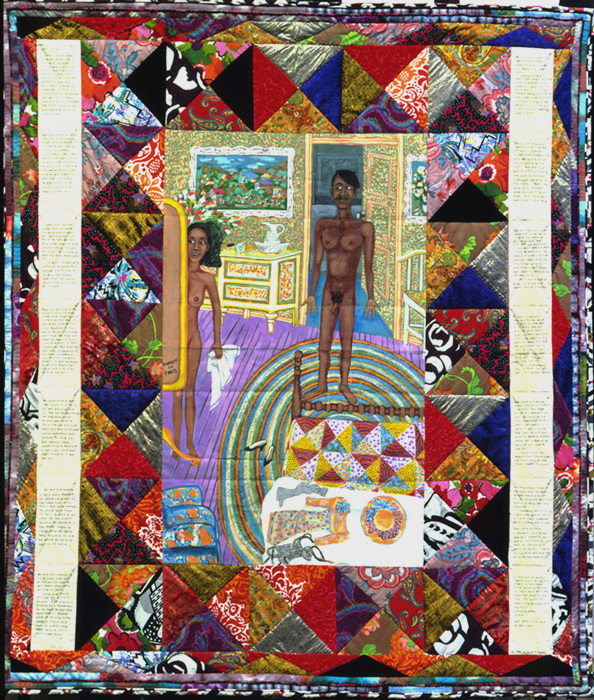 Featuring Rachel Farmer, Kim Fox, Ariel Jackson, Luke Haynes, Laura Petrovich-Cheney, Coralina Rodriguez Meyer, Faith Ringgold, Jessica Skultety and images from the 1987 AIDS quilt exhibit in Washington, DC. of The AIDS Memorial Quilt. 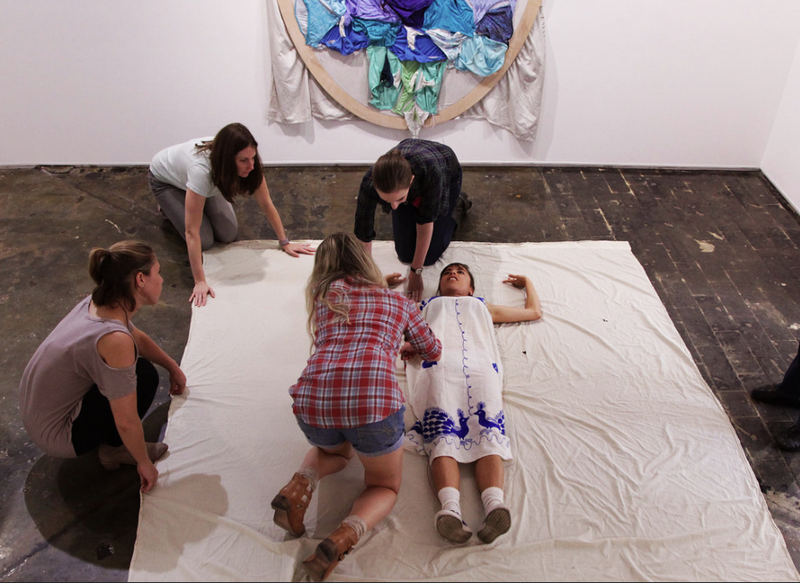 Beyond the Bed Covers examines how quilts and quilting have evolved beyond their cozy functionality, to be an expressive art form constructed of a variety of materials practiced by all gender forms. Included in this exhibition are artists whose quilts push the boundaries of materiality, personal expression and political statements. For the artist's page here.